Have you been looking for tips to perfect your sourdough game? Come on down to the 2019 Spring Edmonton Woman’s Show where Chef Steve Brochu from MilkCrate Catering and Consulting – formerly from Chartier in Beaumont – will be demonstrating to observers how to make crusty and soft sourdough bread. Find your inner baker and come see this dough-licious presentation (samples included) Saturday and Sunday, April 13th and 14th! Born and raised in Edmonton, Steve knew from a young age that family and food are tightly connected, and was fascinated by the important relationship they have to each other. It’s something that drew him to pursue his career in hospitality, and something that continues to drive him today. After graduating from the Culinary program at NAIT, he moved to Vancouver and quickly became familiar with its fast paced food scene. He experimented in a number of different environments including some of the top hotels (Fairmont Waterfront, Shangri La Hotel), and steak houses (Joe Fortes) before working at a remote fishing lodge off the northern coast of BC (Langara Island). 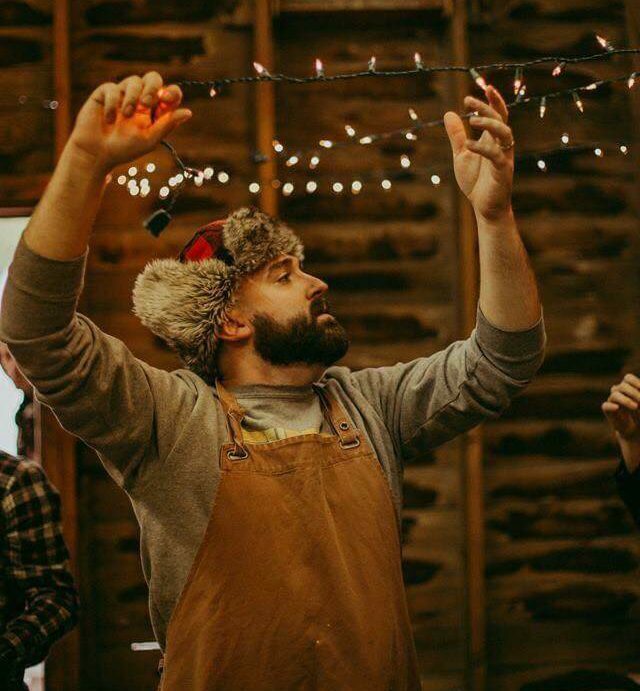 He returned to Edmonton and became the head chef of Chartier in Beaumont, AB in December 2016, Steve has received multiple accolades for his whimsical approach to French Canadian cuisine. Chartier was named the “Best New Restaurant of 2016” and “Best French Restaurant of 2016” by Avenue Magazine, one of the “Top New Restaurants in Alberta” from the Globe and Mail. Then in 2017 and 2018 one of “Canada’s Best New Restaurants” in EnRoute Magazine, and highlighted as a “Maverick Chef” In Quench Magazine for his support of local food philosophy. In 2019 Steve moved on to open his new concept; MilkCrate. As the owner and chef he manages catering, specials dinners, cooking classes and consulting. He loves working directly with guests to create something unique and spectacular for them. Digging into the history of food and culture to bring out amazing stories to be able to express with food. His food philosophy is simple: make it tasty and “can’t/won’t” is not an option. He doesn’t shy away from breaking down a whole animal, and feels it’s our inherent duty to use as much of it as we can….snout to tail. He believes that it’s one thing to have amazing ingredients but it’s another to be able to transform them into something wonderful that doesn’t just make people full – it brings them together.